The great international hotels have adopted this featherbed composed with 90% duck feathers and 10% duck-down. Incredibly flexible, it offers a shelter of tranquility for your nights. 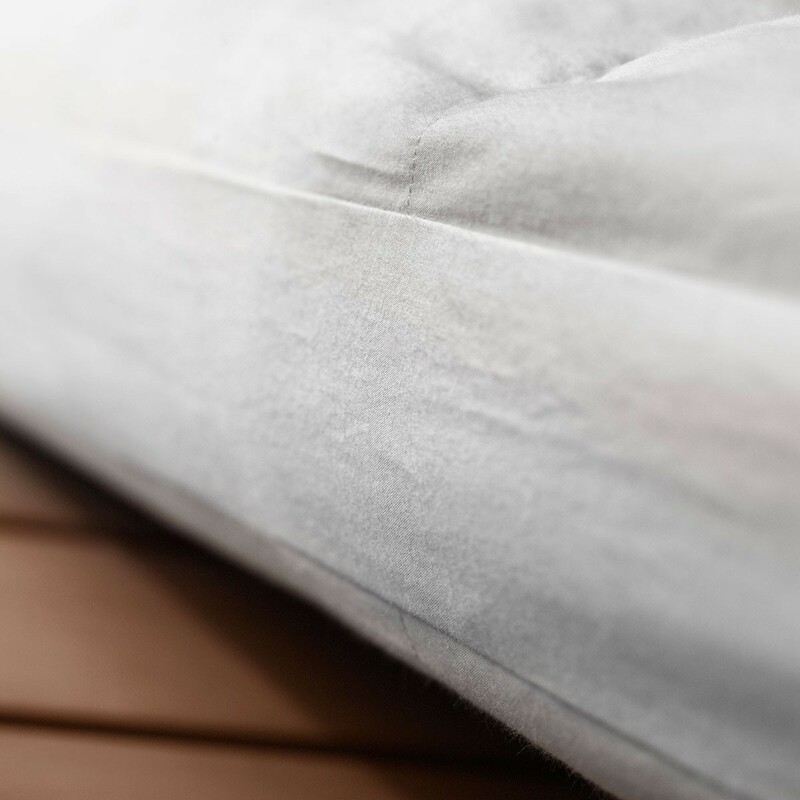 Complementary to a firm mattress, the natural comfort mattress topper brings extreme softness and the feeling of sleeping in a nest of feathers. This is the very definition of the Nuit Idéale® of a luxury hotel. The natural comfort mattress topper is filled with thousands of new duck feathers, offering an unparalleled swelling. Composition Composed of 90% new duck feather, 10% new duck down with a weight of 1500g/m², the natural Confort featherbed is a cozy nest. 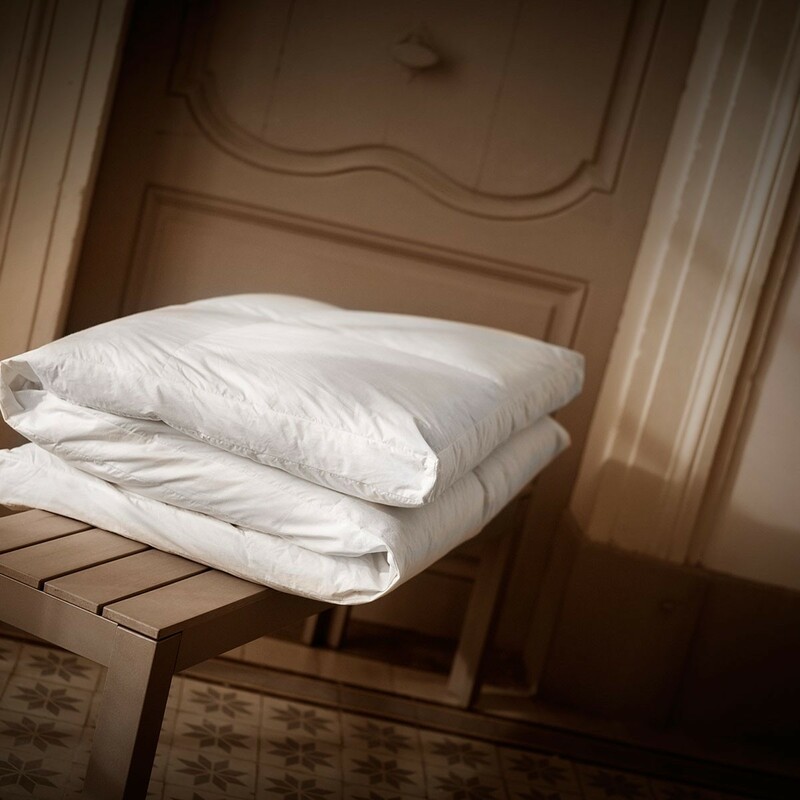 It is covered with a down-proof cotton percale, 91 threads/cm², which brings comfort and softness. Its very comfortable thickness of 6cm gives the topper mattress a swelling and incomparable welcome. Packaging The Dumas Paris large canvas bag that protects your featherbed can be used for storage during the summer months. A suitable protective cover is provided with your mattress topper. Tailor-made and embroidery The natural Confort mattress topper can not be made to measure. The protective cover supplied with can be personalized from an embroidery to your initials or to the room number. Delivery and return Your bedding item will be shipped in 48 to 72h at your home or in relay point. Delivery in France is free. You have 14 days to return or exchange the product if it does not meet your expectations. Any tailor made product (embroidery, specific size) will not be taken back or exchanged and will require 5 working days of manufacturing time. Cleaning proccess The natural mattress topper is not washable in traditional machine or by your dry cleaner. That's why it must be protected as a mattress, with the protective cover that we offer. The natural comfort mattress topper is a Haute Literie® product. A real nest of feathers, the natural comfort mattress topper is the element that completes your Haute Literie® set. It is made in Dumas Paris workshops in Burgundy, according to an ancestral know-how.